The Game then Shifts to fox and his crew (minus Falco) on Great Fox just lounging around. General Pepper then Buzzes in and Briefs them on a their new mission which has to do with the distress call that came from Sauria to restore the planet back to the way it was before it started falling apart. Fox then begins his mission and lands in Thorntail Hollow where he finds Krystal’s mystical staff. Fox then learns from the Queen Earthwalker that he needs to find her son Tricky and then the 4 Spellstones and return them the force point temples for the planet to return back to normal. 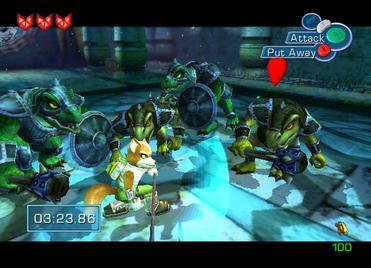 Later in the game fox learns of Krystal and to save her he needs to find all of the Krozoa Spirits. This is another place where the game shined, yeah some of the level themes were kind of cheesy but I like cheesy especially when it catchy. Each theme really catches the feel of watch going on. The composer David Wise did an excellent job with the sound track at least in my opinion. 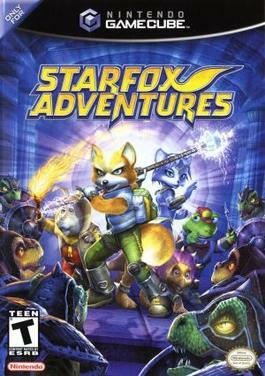 The voice acting is pretty good too, especially the guy that speaks for Fox McCloud. The Ambient noises are awesome too; if you have a Dolby Digital system it will be a pleasure to your ears. 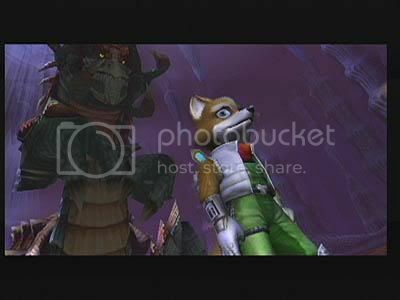 If you were wondering how the game feels take Link from Ocarina of Time and put him is Fox’s skin and that would give you a pretty good idea of how the game feels. You will be in a few different vehicles too, there is the Arwing flight levels where you pilot an Arwing similar to how you did in Starfox64. You’ll ride a hover craft type bike multiple times in the game. You will also ride a few different dinosaurs too. 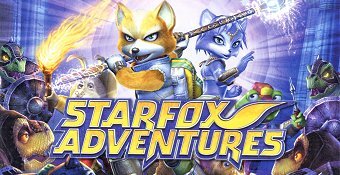 Critics of the game basically complain that the game stays too far away from the Starfox roots but, I liked then change of scenery.